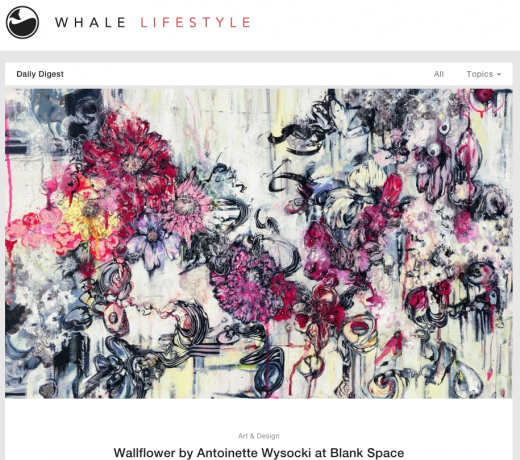 Antoinette Wysocki’s romanticized paintings feature the artist’s continuous engagement with the organic process that encourages dynamic interchange between various media like acrylic, ink, charcoal, pencil, gauche and watercolor. 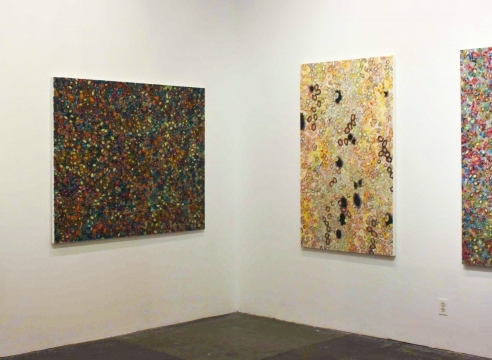 This spontaneous interaction and refraction on the surface of the canvas enact complex spatial and geometrical tension that is unique to the artist’s oeuvre. She was born in Washington D.C in 1975 and received her BFA from San Francisco Art Institute. 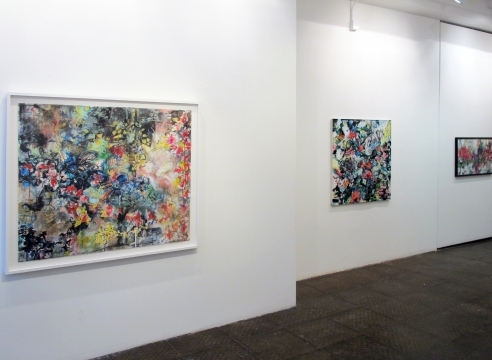 Her works have been exhibited and collected internationally in New York, London, Hong Kong, Dubai, and San Francisco. In 2007, she was nominated as Top Emerging Artist by GLAAD in New York City. 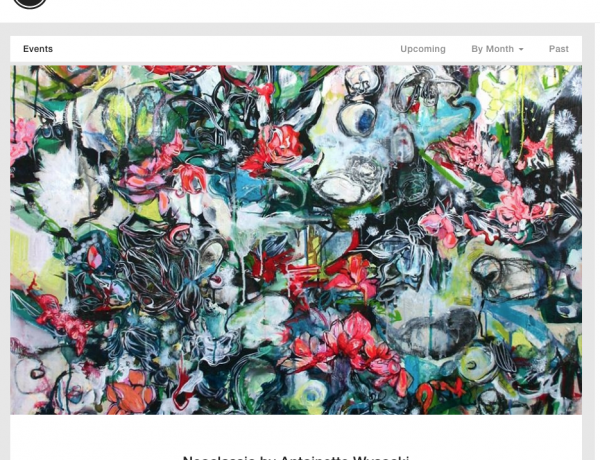 Antoinette currently resides in New York. 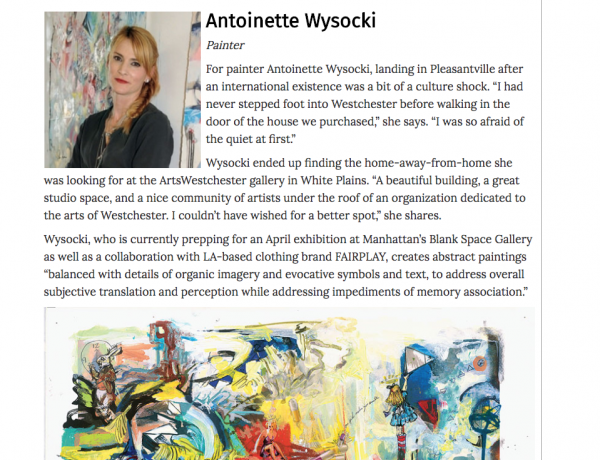 BLANK SPACE's represented artist Antoinett Wysocki's recent painting "Midsummer's Milk" is featured in Westchester Magazine. The painting including other objects were purchased specificially for this room. 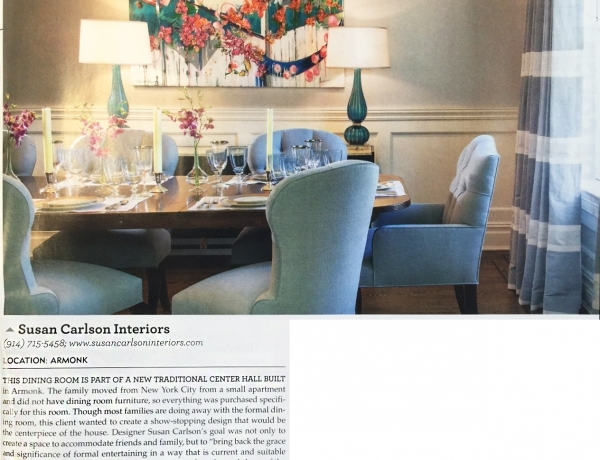 This dining room is part of a new traditional center hall built in Armonk, Westchester county in New York. The cultural calendar is quite busy this time of year in NYC, but there’s one exhibition at Blank Space gallery in Chelsea which you really should set aside some time to check out. 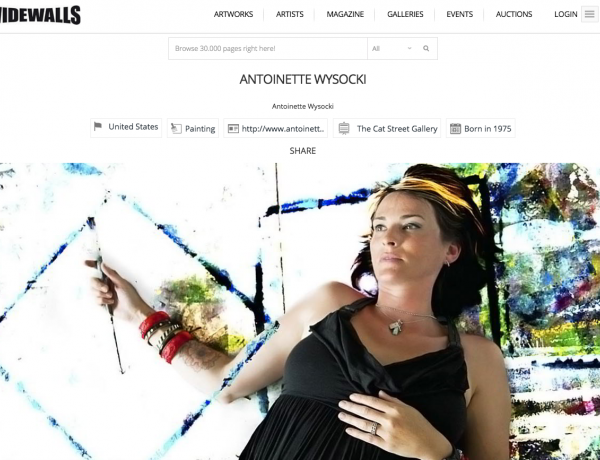 From artist Antoinette Wysocki is Neoclassic, an exhibition representing some of her most intriguing work to date, and an excellent showcase of her ability to effectively incorporate a variety of media into powerful compositions. 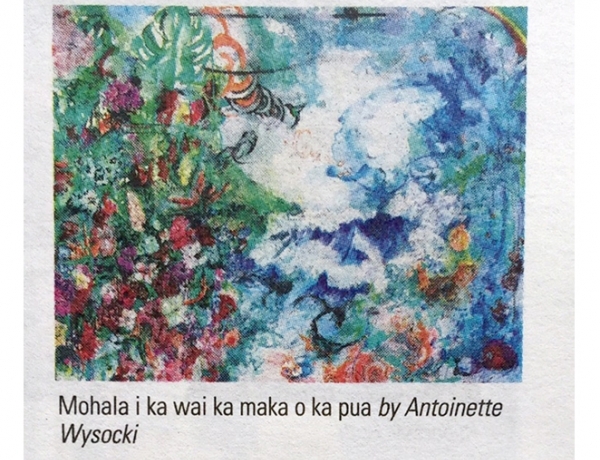 With her profile continually rising, this showing is an ideal opportunity to experience her work in an intimate setting. 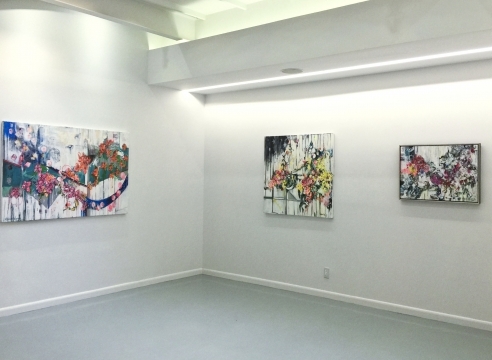 And while Neoclassic will be on display until October 4th, you’ll be best served by heading out to the opening reception this Thursday night, September 12th, from 6-8pm.